V.O. Chidambaranar Port Trust, Tuticorin, on 10 September 2018 donated a Road Sweeping Machine to Tuticorin Municipal Corporation, Tuticorin. 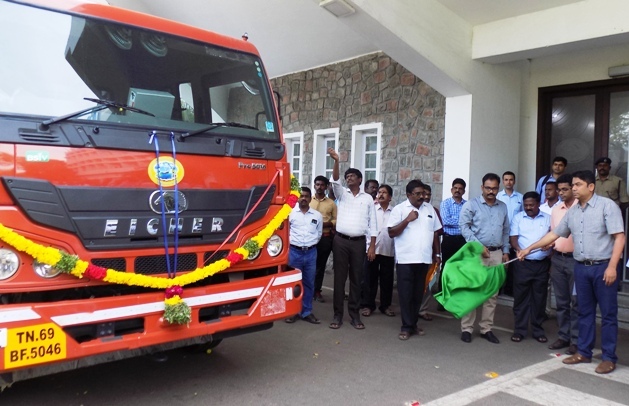 The sweeping machine was flagged off by Shri Rinkesh Roy, IRTS, Chairman V.O. 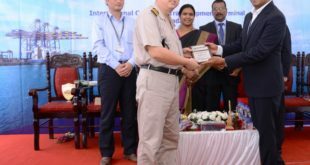 Chidambaranar Port Trust, in presence of N. Vaiyapuri, Deputy Chairman, V.O. Chidambaranar Port Trust, Dr. Alby John Varghese,IAS., Commissioner, Thoothukudi City Municipal Corporation, Shri M.S. Prasanth, IAS., Deputy Collector, Thoothukudi District, Tuticorin, and Officers & Staff of V.O . Chidambaranar Port. In order to keep the roads of Thoothukudi city clean and raise the aesthetic value of the city, the Port has donated the Road sweeping machine at a cost of Rs. 49 Lakh under CSR scheme. The Sweeping Machine is provided with one centre brush and two side brushes with sweeping width of 3 mtrs for cleaning the roads. The machine is also equipped with vacuum based dust collection mechanism with 6Cu.m capacity container to collect debris. In a bid to be socially responsible, V.O. Chidambaranar Port has undertaken a number welfare initiatives under CSR schemes with focus on Education, Health Care, Entrepreneurship (self-help & livelihood generation) schemes, Infrastructure support in and around Tuticorin, Environment protection &amp; ecological conservation and Women’s Empowerment by allotting 2% of net profit every financial year. 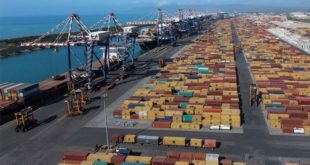 For the financial year 2018-19, the Port has allocated Rs. 247.72 lakhs for implementation of CSR schemes. 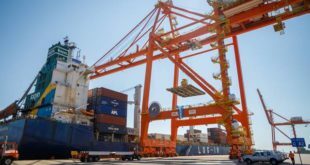 As an autonomous body under Ministry of Shipping, V.O. Chidambaranar Port has a long and cherished tradition of commendable initiatives, institutionalized programmes and practices of Corporate Social Responsibility which have played a laudable role in the development of areas in and around Thoothukudi district. 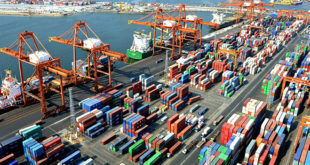 The CSR activities of the port are in line with the guidelines on Corporate Social Responsibility and Sustainability issued by the Department of Public Enterprises and Ministry of Corporate Affairs of the Government of India.